The image below shows the topology of the network. Enter the following commands on the Cisco switch to assign the ports to different VLANs. The fastEthernet 0/1 port is connected to the router so its mode should be changed to trunk. Use the show command in privileged mode to see the VLAN configuration. Enter the following commands on the router. Yes you can do that too. Read this post on connecting GNS3 to the Internet. However if you use real switches you’ll not be able to configure NAT unless you have a Catalyst 5XXX or 6XXX series model. But you can connect the switch to your modem (if it has an Ethernet connection) and make it communicate with the internet. Ok thanks……….I have (2/Distribution) 3550 and 2950 (2/Access), I was just wondering because I have a 2691 (GNS) Router-on-a-stick setup that is running, I can ping all Sub-interface addresses from either switch…..I also have a 4-port NIC adapter……was assuming I can plug a RJ-45 from the port adapter to the Linksys and then create another cloud to form the link between the Virtual Router and Linksys to ping to the internet from the different Vlan’s. But I imagine I would have to create another sub-int with my Linksys Private IP address, but with an address that isn’t conflicting…..does that sound right? Is Linksys the modem which connects to the internet? After creating a cloud and linking it to with the appropriate NIC adapter interface you can let the 2691 get the IP address via DHCP. The router will get a private IP in the same subnet as Linksys. Then you’ll have to configure NAT on this interface and on the subinterfaces. Yes the Linksys is connected to the internet…BOOM you are a genius, I’m going to config it and report back…thanks again sir. Sure, glad to help Allen. i want a particular pc connection can i do this ? You have to configure an ACL to deny access from that source to the destination. Jesin can i have your email address i would like more to discuss on this since i am a beginner in this field and my project for final semester i a college network design . so i can directly mail you and you can reply me faster..
Have a look at this document which explains ACL for one way TCP traffic initiation. A great place to ask for support is the Cisco forums. Choose the category that best describes your need and start a discussion. Sorry Mohammed I have no idea about this router. What Operating System does it run? 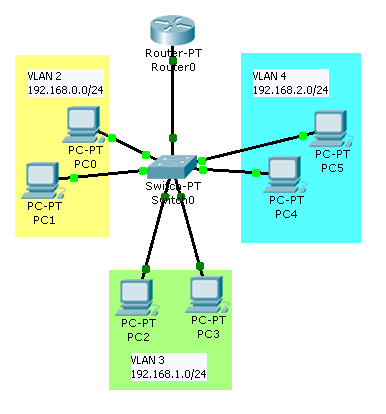 can you send me step by step frame relay concept and practical i mean by commands so i can do it in packet tracer. The problem I can not reach Sub interface (ROAS) in R1 from R2 and vice vesra, but I can connect to internet from R2 if direct connect host to R2..
Hope my explanation is clear..